On Tuesday Heritage Montreal announced that they were putting Le 9e Eaton’s famed but long shuttered 9th floor restaurant “under observation” due to the uncertain future of the building it calls home at 700 Sainte-Catherine street west. While the restaurant has been closed since 1999 you can see from the postcards below that it’s grand interior was an Art Deco gem back in 1931. The restaurant was designed by the famous French architect Jacques Carlu and his wife Natacha Carlu created the mural featured prominent in the back. 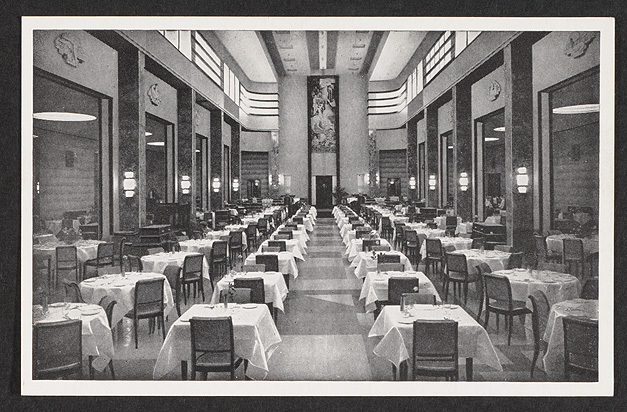 A postcard with a photograph of the Eatons’ Restaurant on the 9th floor, ca.1931. A postcard with a view of the Eaton’s department store, ca. 1931. 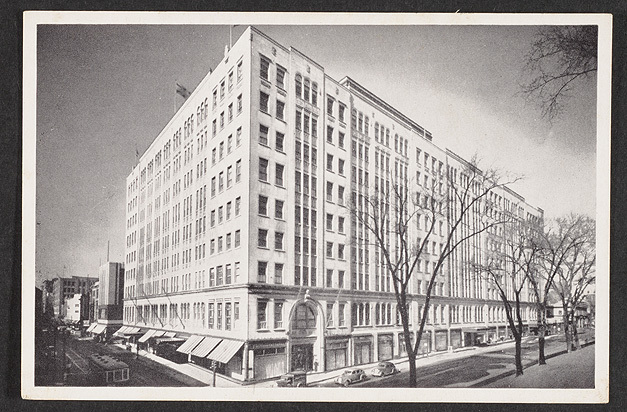 Designed by Ross and Macdonald architects, the Montreal store was the first of many Eaton’s stores designed by this firm. You can read more about it in Ingrid Peritz Globe and Mail article, Future uncertain for famed Montreal Art Deco restaurant. 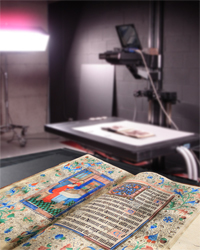 This entry was posted in Postcard Collection, Rare Books and Special Collections and tagged Architecture, Art Deco, Digital Exhibition by Sarah Severson. Bookmark the permalink.